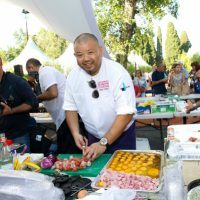 Third and last day of madness at Les Etoiles de Mougins 2017 in a crazy and gastronomic atmosphere with the association les Toques Brûlées, led by David Faure. 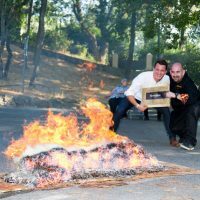 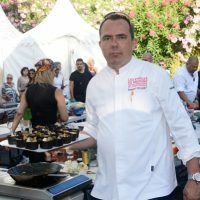 An eagerly awaited tradition, the Toques Brûlées culinary show, “frenzied” by the Chef David Faure, Sensôriel in Nice, closed Les Etoiles de Mougins 2017, the International Festival of Gastronomy and Art of Living in the sublime village of Mougins. 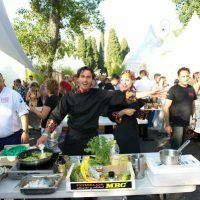 Combining gastronomic show and tasting on a musical background, the chefs have offered the public demonstrations of incredible receipts, always with surprises. 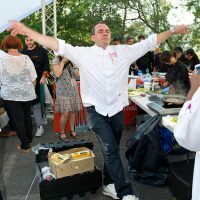 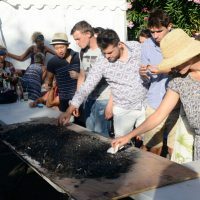 In the workshops areas, where the cuisine of the sun and elsewhere was elaborated and tasted, in an unbridled dance on a musical background, the Toques Brûlées offered to the public demonstrations of recipes, which could then be tasted as finger food. 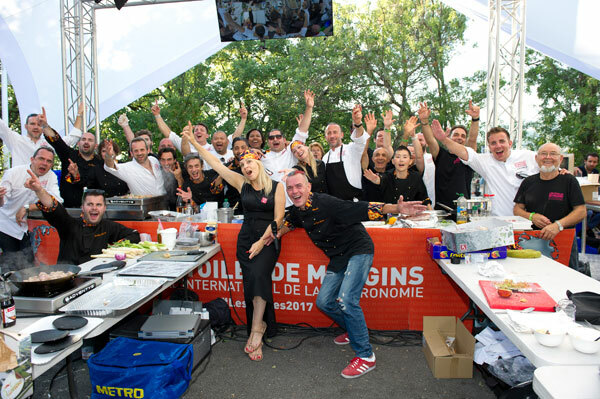 The recipes were elaborated live by the association of thirty chefs, enlived by David Faure and Noëlle Cornu-Faure from Sensôriel in Nice. 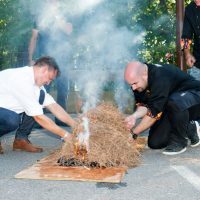 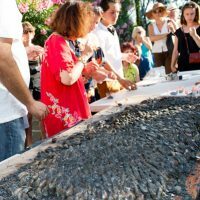 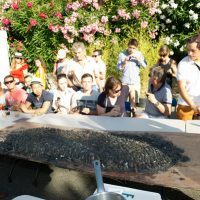 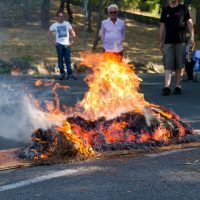 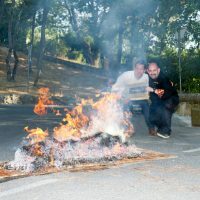 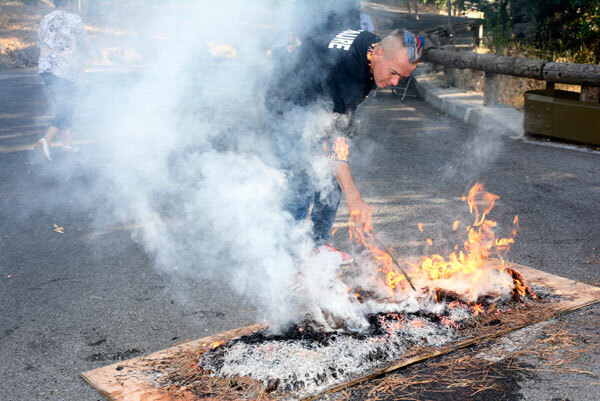 The spectators gastronomes enjoyed a very original “clou du spectacle gastronomique”: hundreds of musels coated by a fire of pine spines, to cook and to perfume these seafood in an unseen way. 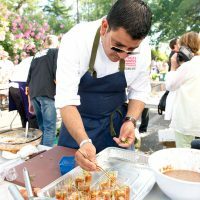 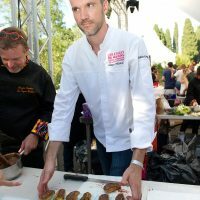 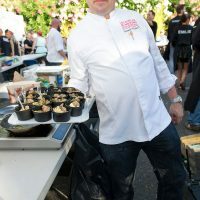 In the morning, the Toques Brûlées members went through the culinary demonstration and exhibitors stands, such as Metro Premium, to collect the remaining products for cooking them in the afternoon in recipes with surprising originality. 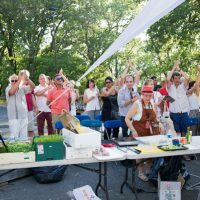 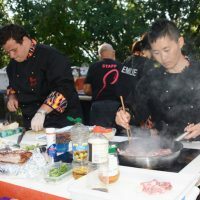 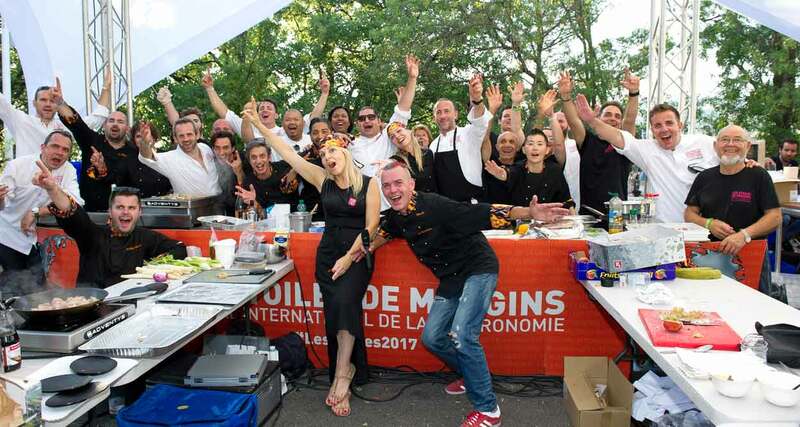 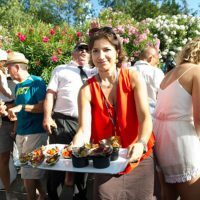 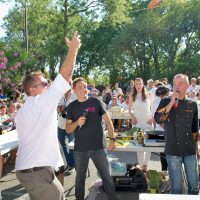 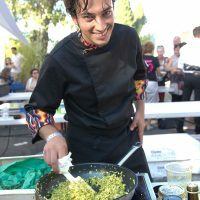 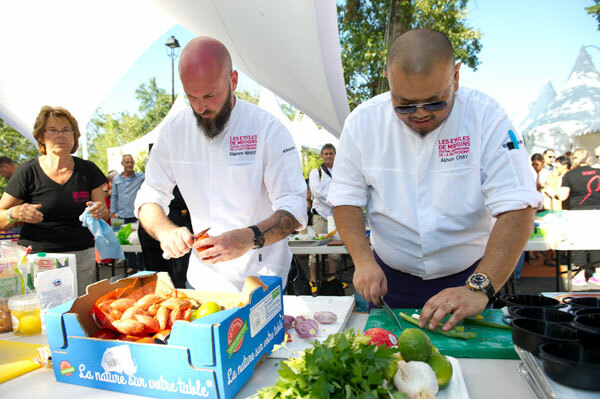 They were joinded by some chefs participating in the demonstrations and workshops of Les Etoiles de Mougins 2017 such as Akhara Chay, Gregory Thebault, Geoffroy Poësson and Florent Houget from Euro Toques. 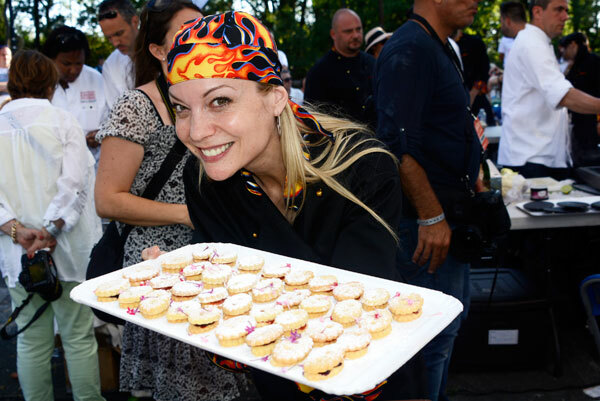 All have allowed their talent, generosity and good humor to flourish, to the delight of the public, who have enjoyed these rejoicings for the eyes, the palate and the heart. 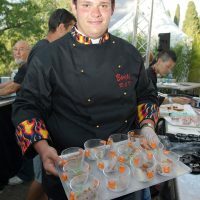 Les Toques Brûlées is an association of chefs with diverse and varied origins, worthy representatives of the culinary diversity of our enchanting South. 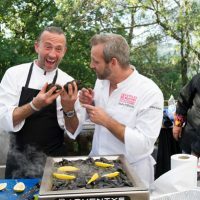 Rich in their diverse origins: star-rated gastronomy or family cuisine, they work together to offer a delighted audience a pure moment of pleasure and good taste. 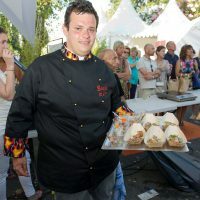 These prodigies of the kitchen are constantly looking for a novelty out of their bag of malices for a bite of pleasure in a great friendliness and in good humor. 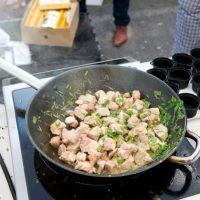 Their range of diversified cuisines highlights the truth of the product, the revisited local and traditional cuisine, for a modern and evolutive, techno-emotional cuisine.